Email: For Caloundra click here, or for President click here. 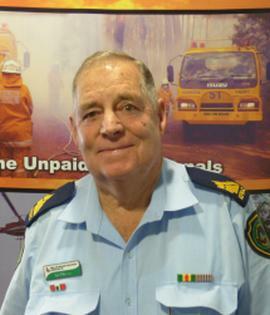 I am the First Officer of Federal Rural Fire Brigade where I have been a member for 26 years and the Noosa Group Officer for 13 years. In 2010 I was elected in as the RFBAQ Representative for the Caloundra District, I am also the Vice President and Chief Dairy Steward of the Noosa Show and has showed and judged Illawarra cattle for 35 years. I am married with 3 adult sons and am now a retired dairy farmer.